Raised among the longleaf pines of North Carolina, Charlie began his career playing bluegrass music with the Misty Mountain Boys. After moving to Nashville in 1967, he began making a name for himself as a songwriter, session musician and producer. Elvis Presley recorded a tune Charlie co-wrote titled “It Hurts Me,” which was released on the flip side of “Kissin’ Cousins.” He played on such landmark albums as Bob Dylan’s Nashville Skyline and tried his hand at producing on the Youngbloods’ Elephant Mountain and Ride the Wind. His own unique voice as an artist emerged as Charlie recorded his self-titled solo album in 1970 for Capitol Records. 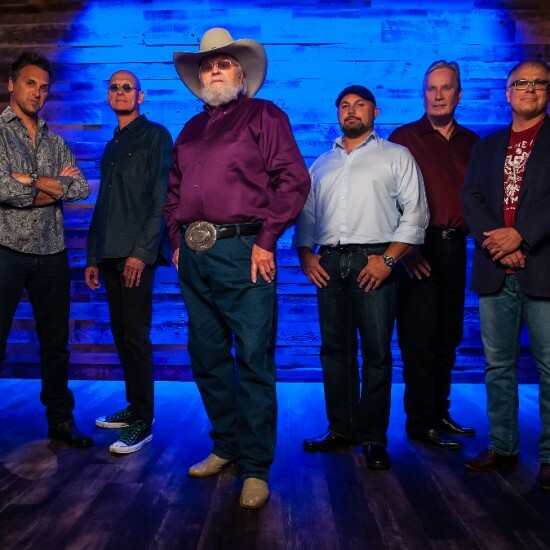 Two years later he formed the Charlie Daniels Band and the group scored its first hit with the top ten “Uneasy Rider.” Since then the CDB has populated radio with such memorable hits as “Long Haired Country Boy,” “The South’s Gonna Do It Again,” “In America,” “The Legend of Wooley Swamp” and of course, his signature song, “The Devil Went Down to Georgia,” which won a Grammy for Best Country Vocal Performance by a Duo or Group in 1979 as well as single of the year at the Country Music Association Awards. Whether performing in the hit 80s movie Urban Cowboy, singing on Easter Sunday at his local church or leading an all-star cast at one of his famed Volunteer Jams, Charlie just exudes joy whenever he steps on stage and he’s always been quick to provide a platform for other artists to shine. In 1974 he invited some friends to join him at Nashville’s War Memorial Auditorium for an all-star concert he dubbed The Volunteer Jam. The event continued for years and was broadcast in the U.S. and internationally.